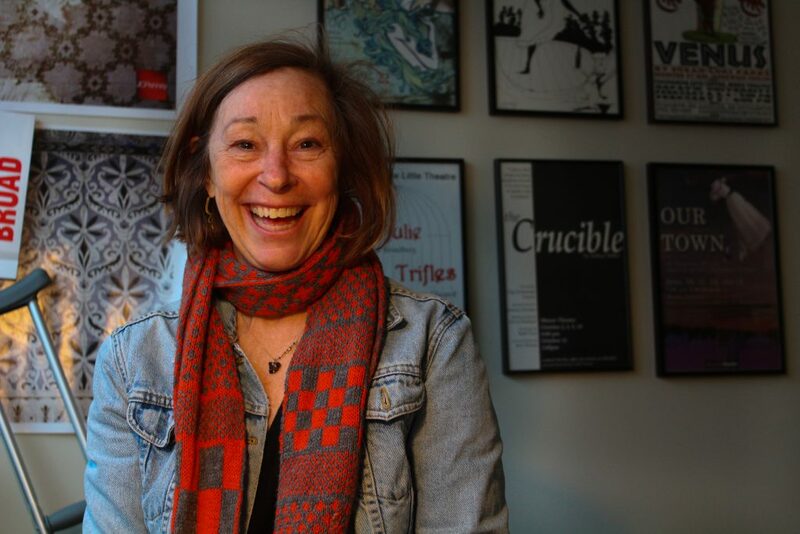 When you walk into Gigi Jennewein’s office, you will be greeted by her wide smile, numerous posters from past shows at DePauw and Indianapolis, a gray crutch against the wall behind her, and some jazz music with an infectious beat. And just like the music playing softly in her office, Jennewein’s happy demeanor is infectious. If you let her, she’ll tell you about her kids, how much she loves life as an artist, and maybe even recommend a TV series or two. And she’ll explain the crutch, too.